Mittenfields is an indie rock band from Washington, DC. To be honest, I was having a rough day. That was until I heard this album. There’s a power that music has, the way that hearing songs that you relate to or enjoy the sound of, that alters your state of mind. With Optimits, Mittenfields has made that kind of album here. The vocals are deep, skillfully written and layered within and behind the excellent instrumentation presented in every track. This is an album that engages well. Every song builds on the previous, while still being strong independent tracks on their own. There’s a strong D.C. sound, with some shoegaze elements present in many of the songs. It’s a light touch, and it adds a lot to the songwriting. There is a slow burn to this album, like a wax candle burning in a window on a dark city street. Overall this makes for a good feeling, this is an album that also, to me, is very cerebral. 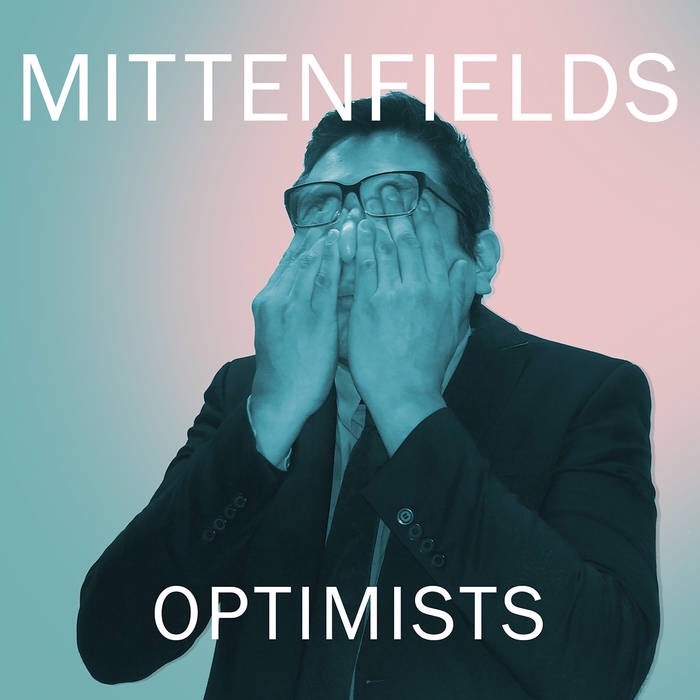 Mittenfields is an intelligent band and has no struggle conveying that intelligence in their writing. Pay attention to the dynamics of the guitar, the intricacies of the bass leads, the honest mindful musing of the singing and the intensity of how it all comes together. This is a band with depth, a depth that will go as deep as you allow. Beautiful, haunting, ethereal, and brilliant, I highly recommend listening to this album.